Scott Pilgrim has two girls on the go. When he's with Knives Chau, he feels like he can erase his past and start over. When he's with Ramona Flowers, he's ready to accept the past, grow up and move on. But like all adult relationships, Ramona comes with baggage - in her case, seven evil ex-boyfriends, showing up one by one to challenge Scott for the right to date her. What happens when Knives and Ramona meet? What happens when Scott's own ex-flames get thrown in? How will Scott deal? Which girl will he choose? Fights! Drama! Secrets revealed! 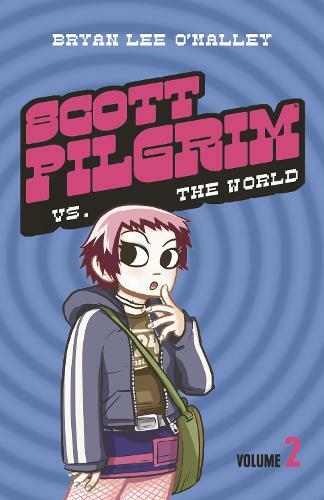 Find the answers to these questions and more in `Scott Pilgrim vs The World', the second volume in Bryan Lee O'Malley's brilliant graphic novel series.